When considering a trip to Minnesota, the Twin Cities and Mall of America will surely spring to mind. For a relaxing and nature-filled vacation, though, head north to the port city of Duluth. The star attraction in Duluth is Lake Superior, the world’s largest freshwater lake by surface volume. It’s so big, in fact, you might swear you’re standing beside the ocean as you watch the waves lap the shore. 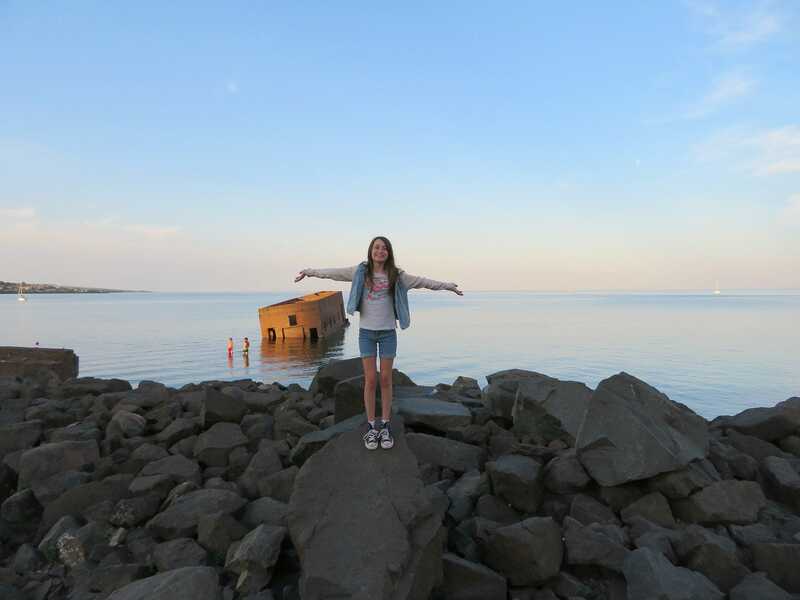 Even if you don’t venture into the lake, it will surely play a large role in your visit to Duluth with kids. The whole city seems to revolve around and revere Lake Superior. Walking paths, restaurants and shops line Lake Superior. Meanwhile boat rentals, fishing charters, and sailing tours are available for families wanting to get out on the lake. Swimming is allowed but visitors may be shocked by the water’s chilly temps. If you’re not afraid of a little cold water, take a peek this list of Duluth swimming spots. Just relaxing lakeside and taking in the view is a wonderful way to pass the time in Duluth with kids. In fact, one of my favorite memories from our vacation was a lazy day spent skipping rocks along the shore of Lake Superior with my husband, our kids, and my Duluth resident sister-in-law. Kids and adults alike get a kick out of watching Duluth’s Aerial Lift Bridge raise to allow boats passage to and from Lake Superior. The boats sound their horns and the bridge bellows back. This crossway was the first moveable ferry bridge in the U.S., originally built in 1905 and transformed into a vertical lift bridge in 1930. Take a look at the shipping schedule so you can time your visit for prime bridge lift watching. Young children are especially enamored with the Aerial Lift Bridge. We met a toddler who was so excited about the bridge. He kept pointing at it and saying, “Goes up and down. Up and down!” Get a peek at the bridge in motion by clicking the video play button above. Once a warehouse district, Canal Park has been transformed into Duluth’s hippest hotspot. This area is filled with restaurants, souvenir and antique shops, coffee houses, brewpubs and hotels. 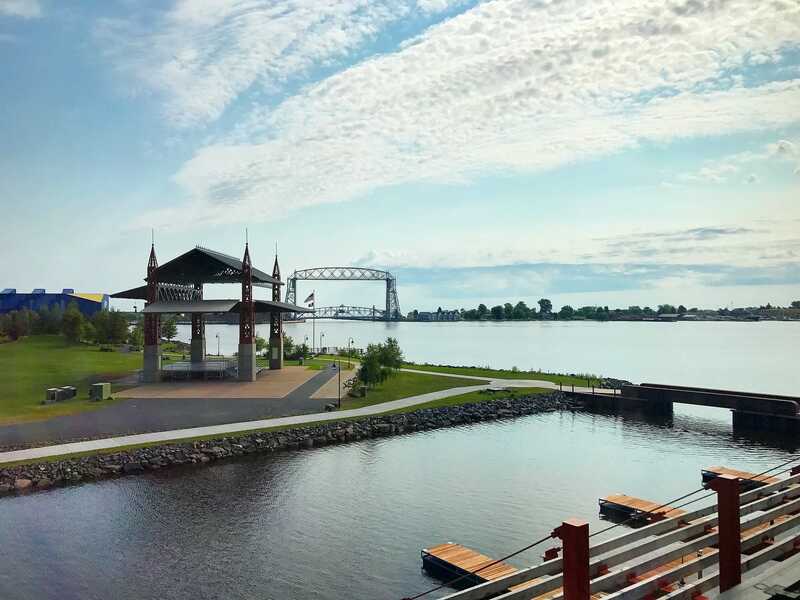 It includes the most popular stretch of the city’s Lakewalk as well as the Aerial Lift Bridge, a lighthouse pier, the Lake Superior Maritime Visitor Center, and the Great Lakes Aquarium. According to CanalPark.com, “Duluth Lakewalk stretches from Bayfront Festival Park, all the way to 61st Avenue East (just below Lester Park and just above Brighton Beach); a rough distance of 7.25 miles!” The most popular section of Lakewalk, though, is a 4-mile stretch of wooden boardwalk from the lighthouse along the length of Canal Park. Lakewalk includes two paths — one for pedestrians and one for cyclists and rollerbladers. Harsh winter storms in 2017 caused damage to Lakewalk, but much of the pathways are still open for use. 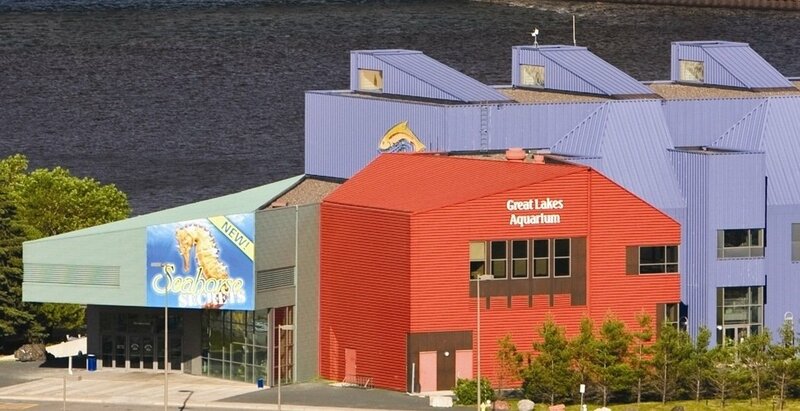 Great Lakes Aquarium provides unique insight to the fish and animal life of Lake Superior and the other Great Lakes. Expect to see and learn about local fishes like Lake Sturgeon, Brook Trout, and Black Croppies. Saltwater fish and sea life are on display as well. My kids especially enjoyed watching the playful River Otters and touching sea creatures in the Feel Connected Touchpools. Most memorable for me, though, was the American Crow exhibit. During a trainer presentation, we watched Freeway the crow solve puzzles and identify colored objects. Viewers can even hand this smart bird “Freeway Bucks” through a slot in Freeway’s mailbox. Watch this crow’s mad sorting skills in the video above. 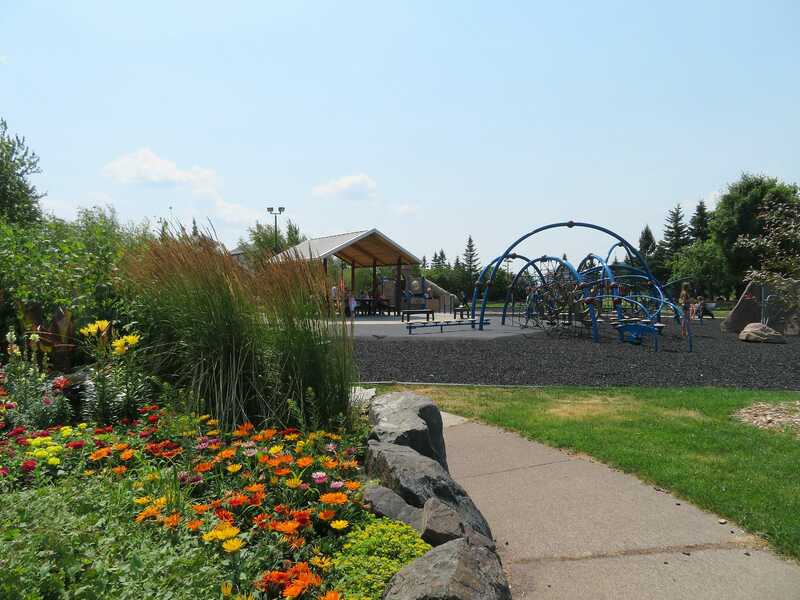 Leif Erikson Park is a recreational green space with walking paths, picnic areas and beach access. Family-friendly movies play in the park every Friday night in summer. 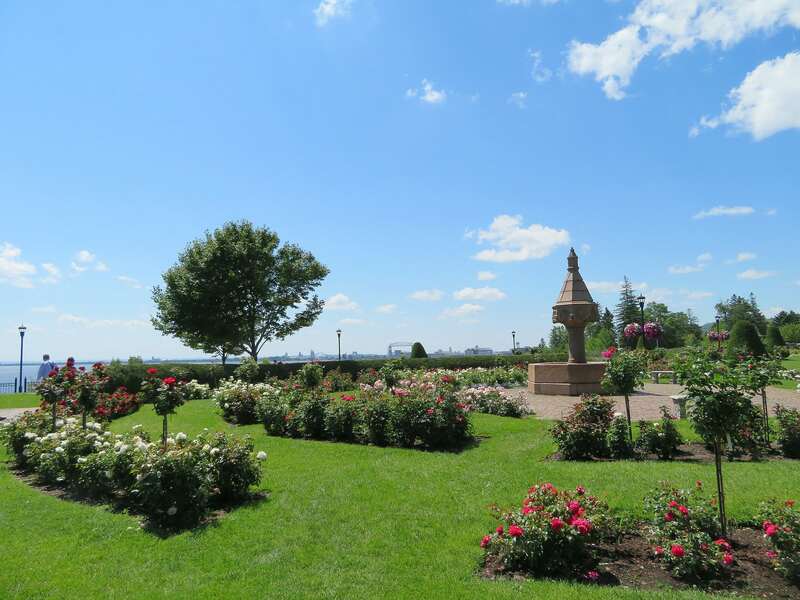 Located within Leif Erikson Park, Duluth’s Rose Garden features over 3,000 rose bushes, 12,000 other plants, a gazebo, and a statue of Leif Erikson — the Nordic explorer. You can easily reach this garden from Lakewalk. The beauty of the flowers with the backdrop of Lake Superior is something to behold. Stop by Wheel Fun Rentals in Canal Park to rent bicycles for adults and kids, or a surrey for your peddled touring pleasure. Every time my family rents a surrey, we are surprised by how much work it is to peddle and steer, but we always wind up laughing and having a ball! Kayaks are also available for rent. Duluth’s Wheel Fun Rentals is closed for summer 2018 due to Lakewalk’s storm damage, but should be ready to roll in 2019. Once called Grand Mountain, Enger Park is perched above Duluth and features hiking trails, picnic tables, and gardens. 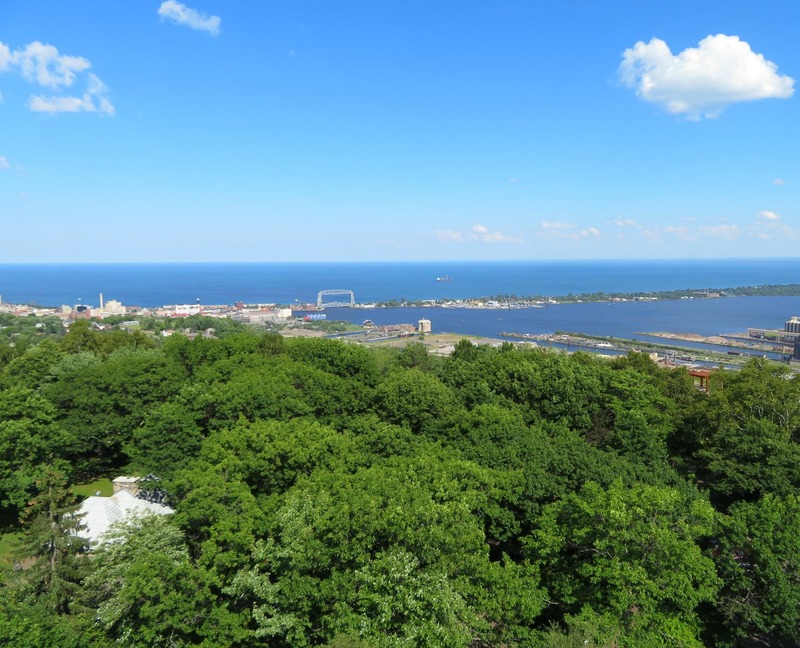 For amazing 365-degree views of Duluth and beyond, climb to the top of Enger Tower. This 5-story stone structure was dedicated by Crown Prince Olav and Crown Princess Martha of Norway in 1939. To learn more about the Peace Bell and get kids excited for a visit to Duluth, buy a copy of The Peace Bell, a children’s book by a local Duluth author. Outdoorsy folks will be pleased to know that nature trails are abundant in Duluth. Take a look at a variety of hiking trails in the area, from easy paved paths to challenging treks. In winter, snow lovers can enjoy a serious workout on a variety of cross country ski trails or get a healthy dose of adrenaline on Duluth’s snowmobile routes. 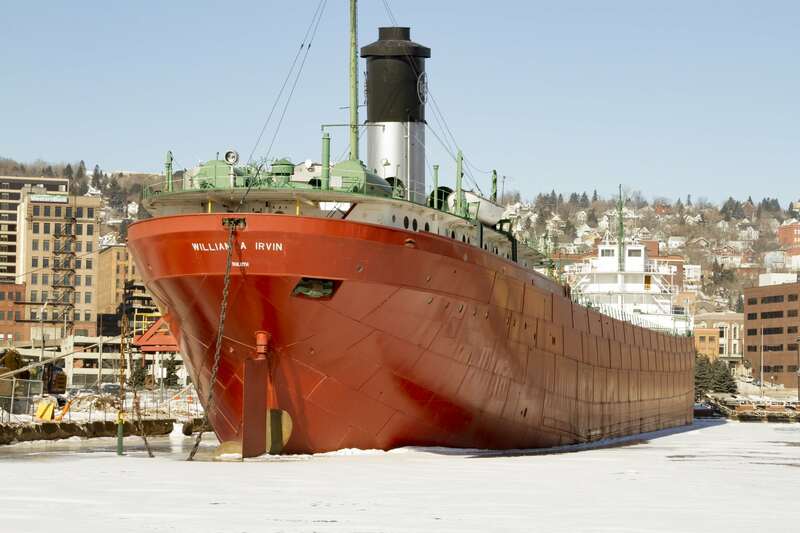 For guided excursions year-round, check out the Duluth Experience. 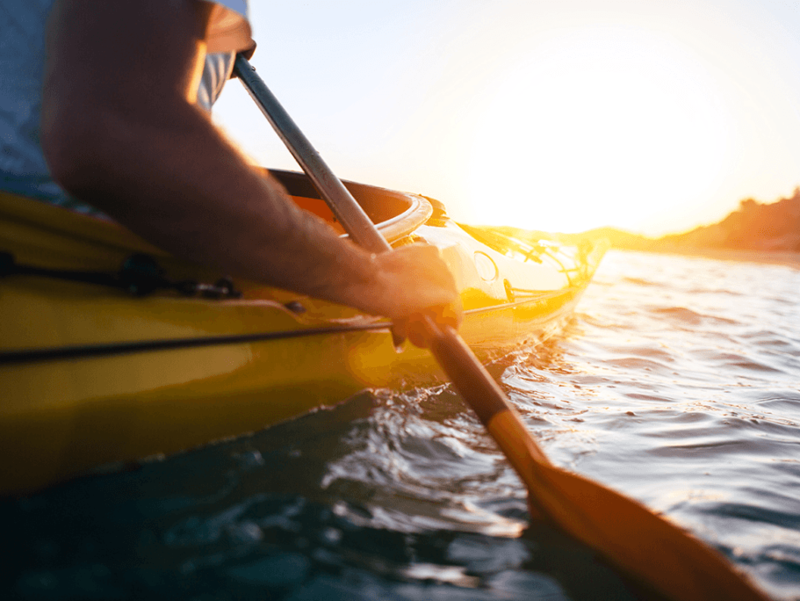 Kayaking, canoeing, mountain biking, snowshoeing, walking tours and more can be scheduled with local guides who like to share their passion for Duluth with visitors. You’ve heard the song about The Wreck of Edmund Fitzgerald, right? Written and performed by Gordon Lightfoot, the song tells the story of the sinking of a cargo ship on Lake Superior during a storm. Board a similar freighter at the S.S. William A. Irvin Ore Boat Museum to gain insight about that fateful storm. Visitors also learn about the iron ore trade and the importance of Duluth as a lake port city. The museum is closed for 2018 for refurbishment but is scheduled to re-open to the public in May 2019. A half-sunken building in Lake Superior is called the Icehouse, the Cribs or Uncle Harvey’s Mausoleum. Built in 1919, it was used to dig up sand and gravel, and move them along a conveyor belt for transport by trucks. The Cribs was abandoned in 1922, after a big storm struck. 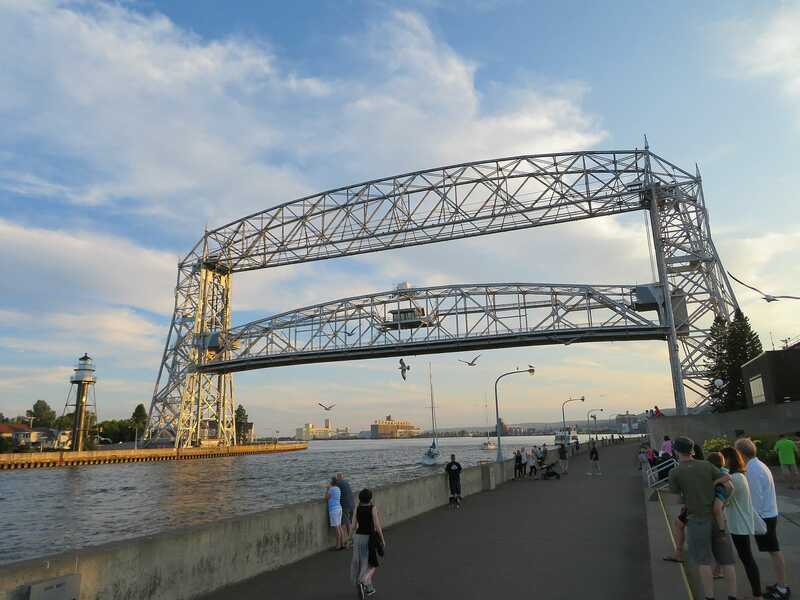 During my family’s summer visit to Duluth, we saw lots of teenagers climbing to the top of this structure and joyfully jumping into Lake Superior. I dare you to take the leap! My sister’s family lives in the Twin Cities in Minnesota and travels to Duluth often. 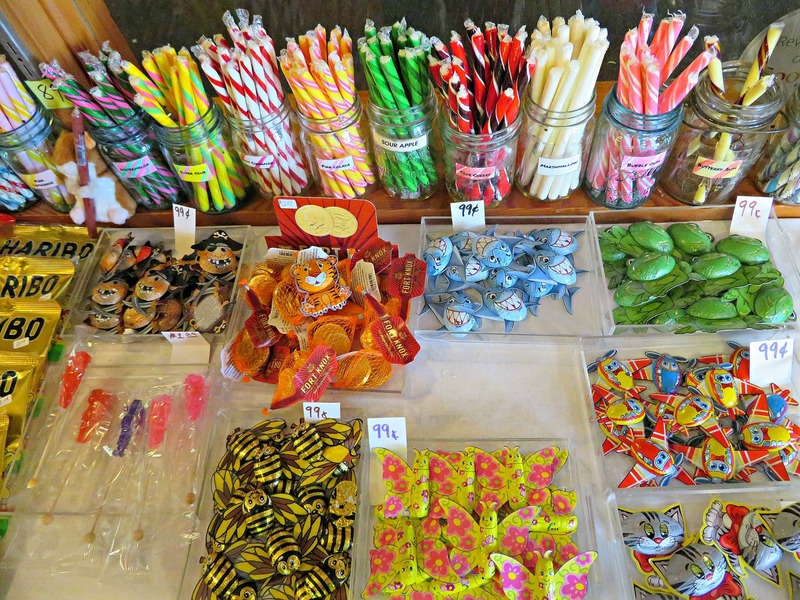 When they heard we were planning a trip to Duluth, my niece exclaimed that we MUST visit Hepzibah’s Sweet Shop for what she declared, “the best fudge ever!” In addition to their locally made fudge, you’ll find an array of chocolate truffles, licorices, Jelly Belly beans, and old fashioned candies. Parents of children obsessed with all things choo-choo, should plan a trip to the Lake Superior Railroad Museum. 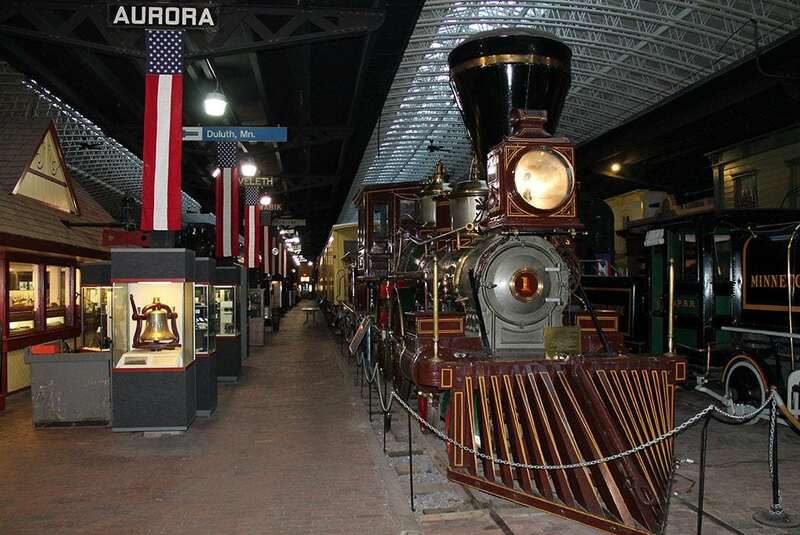 Housed in the historic Duluth Union Depot, the collection includes locomotives, train cars, and a caboose. Kids can even climb aboard some of these! Your family will likely not need more than an hour to explore all this museum has to offer. Little ones will especially enjoy Trains & Toddlers. This special program features a train-themed story time and craft. It takes place on the second Monday of each month, 10 – 11:30 am. If visiting in winter, there’s no need to hibernate because the Lake Superior Zoo is open year-round. Some exhibits, though, are closed or offer limited hours in non-summer months, like Beautiful Butterflies and the Barnyard petting zoo. Highlights include snow leopards, wallabies and African lions. Check the zoo’s schedule for all sorts of animal feedings and encounters. 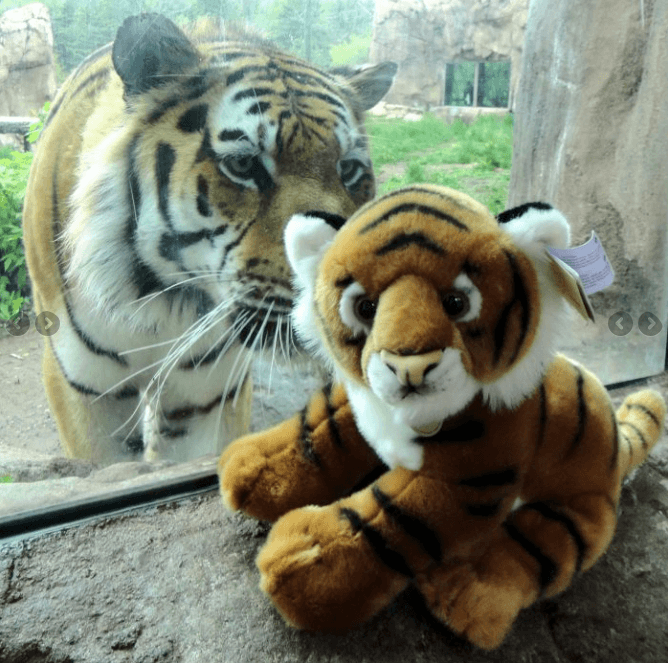 Plan to spend about two hours exploring this zoo in Duluth with kids. 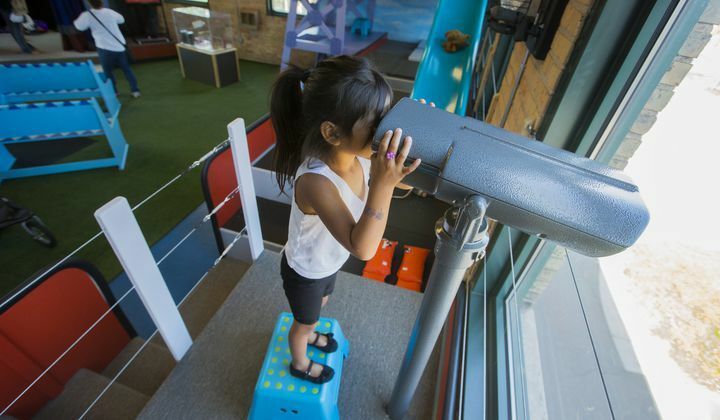 Founded during the Great Depressio, Duluth Children’s Museum‘s focus is on learning through hands-on play. STEM Stations enable kids to learn physics by manipulating ramps, balls and magnets. 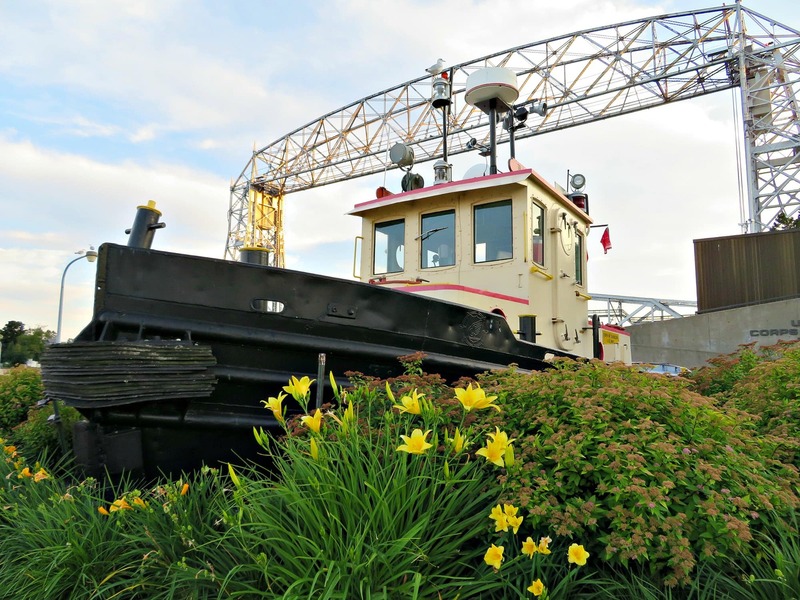 Children fascinated by boats and the Aerial Lift Bridge will love the Ore Boat exhibit, with its make-believe aerial lift bridge, ore boat slide, and cargo hold. For Minnesota-focused learning, check out the Manoomin exhibit, which teaches the five stages of the sacred wild rice harvest through interactive play and the Ojibwe language (and be sure to order a cup of Minnesota wild rice soup at one of Duluth’s restaurants!). Beer culture is big in Duluth. In fact, the city’s first brewery, Fitger’s Brewing Company, opened in 1886. Today, Fitger’s is on the National Register of Historic Places and is home to a small shopping and dining complex. Stop by Fitger’s Brewhouse Brewery and Grille for a beer flight and delicious pub grub. Kids can get in on the fun with a foamy mug of Driftwood Draft Rootbeer. My son loved their fish n’ chips and I ate what was probably the best hamburger I’ve ever had, their Black & Blue Burger. You’ll feel like your in jolly old England here, with a Minnesota nice accent. Nowadays, craft beer is king in Duluth. 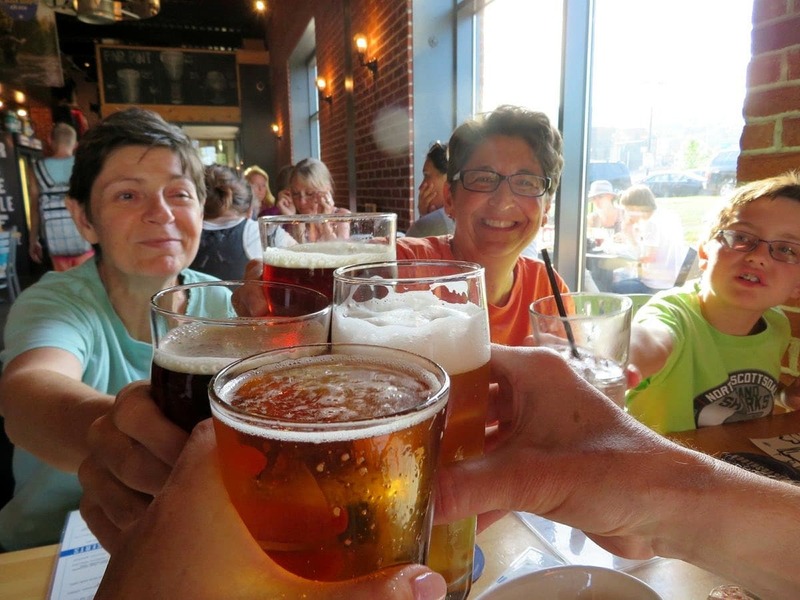 Canal Park Brewing Company is a great pick for families. They make their craft beers with local and sustainable hops, grains, malts and other ingredients as much as possible. Sit on their outdoor patio or request a window seat for fabulous views of Lake Superior. Try a local specialty here like Tempura Walleye (a delicious mild lake fish), fried Cheese Curds, or Duck Poutine (borrowed from Minnesota’s Canadian neighbor). A children’s menu is available. 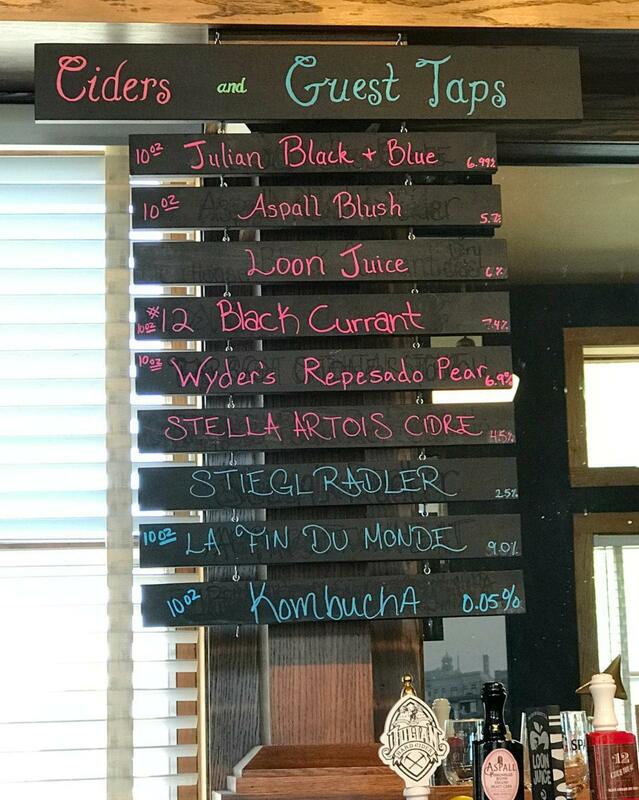 If you prefer craft cider, Endion Station is the place to be. Flavors rotate on tap like pear, black currant and Kombucha. Corn hole on their lawn is a kid pleaser, too. After one night in sub-par waterpark hotel, we asked my husband’s Duluth-dwelling sister where to spend the night. She recommended Pier B Resort for its incredible views, reasonable pricing and clean, modern look. From our room, we could see an expanse of Lake Superior as well as the Aerial Lift Bridge in the distance. The hotel also boasts great views of Bayfront Festival Park, where all sorts of concerts and activities take place. Music lovers often book this hotel for easy access to the annual 3-day Bayfront Blues Festival, which takes place at the park every August. 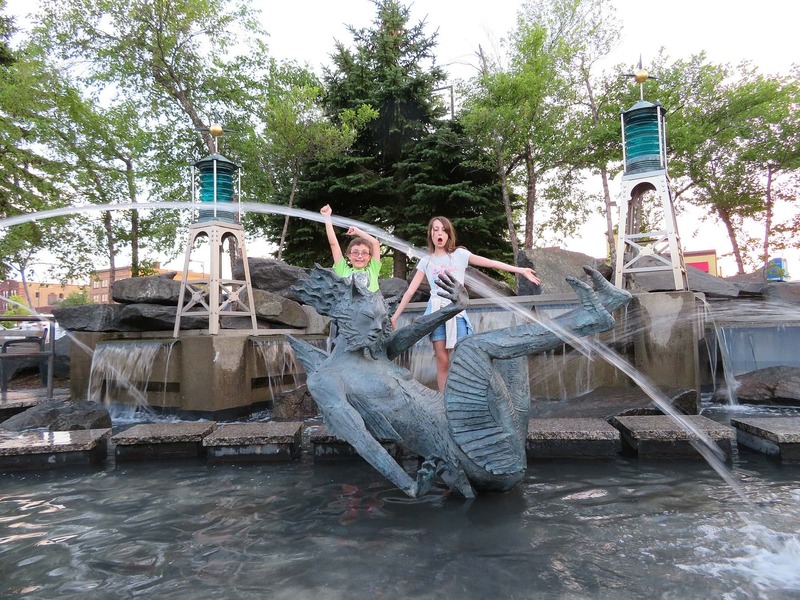 A big bonus for families, Duluth’s largest playground, Playfront Park is just next door to the hotel. Read reviews of Pier B Resort and take a look at other family-friendly hotels in Duluth on TripAdvisor. 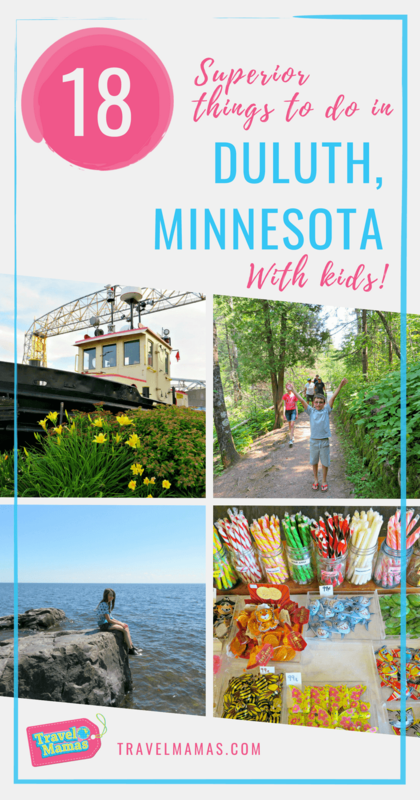 If you visit Duluth with kids, I am sure you will discover why many Minnesotans consider this city to be the crown jewel of Minnesota getaways! When planning a Minnesota vacation, be sure to read about all there is to do at Mall of America besides shop and my tips for visiting Valley Fair, the state’s biggest amusement park. Considering a trip to Duluth with kids? Be sure to save the graphic above via Pinterest for future reference. Go ahead and follow Travel Mamas on Pinterest while you’re at it! Have you ever visited Minnesota? 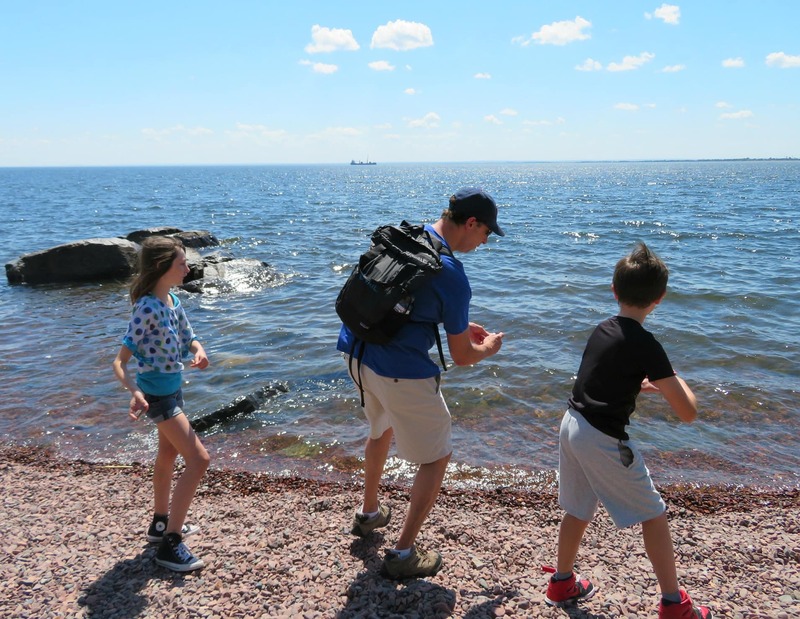 Would you like to visit Duluth with kids? Let us know in the comments below! 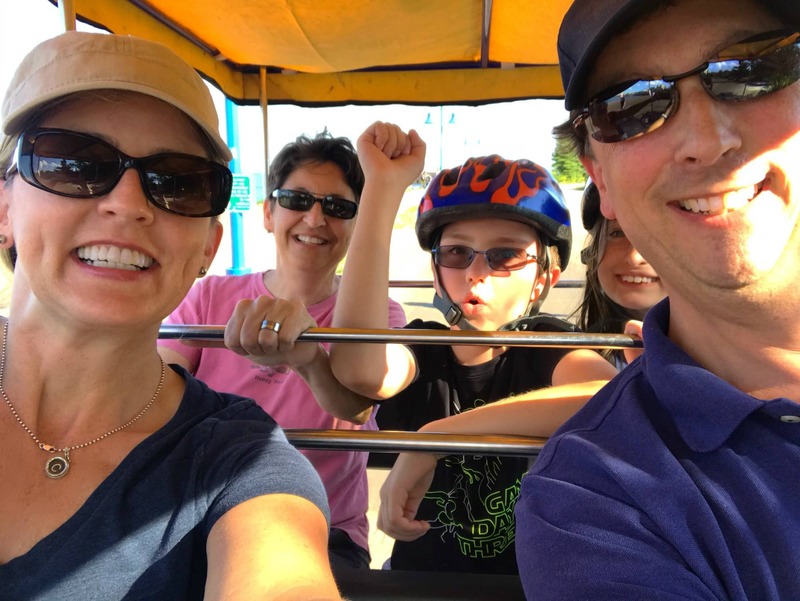 A Note from The Travel Mama: Wheel Fun Rentals and Great Lakes Aquarium hosted my family. We also received a discounted media rate at the Pier B Resort. All opinions are mine, as always. 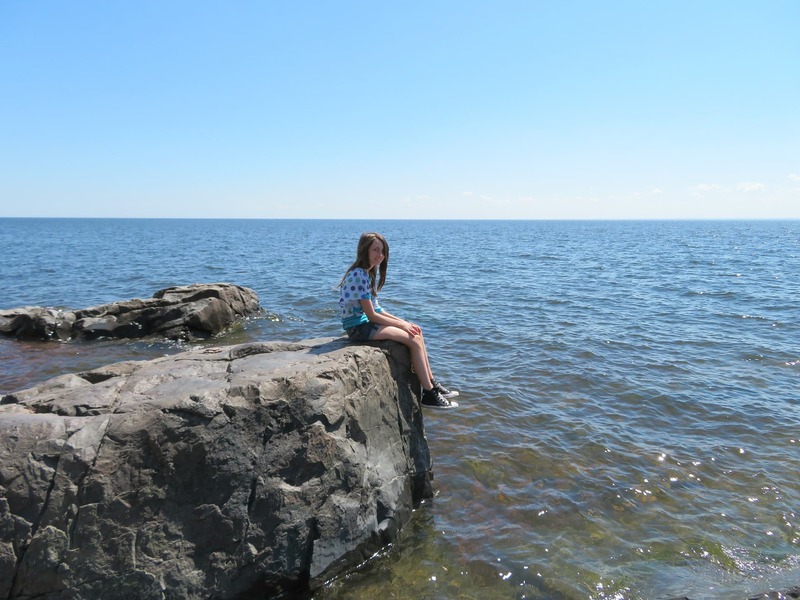 Going to Duluth with my kids was fun…there’s so much to do! And it’s a beautiful place! Such a fun little city! I have to send this post to my Virginia, MN friends. I wonder if they have gone to all these terrific sites! I really enjoyed Duluth. I hope to return next time we plan a longer stay in MN! I always love reading your travel posts. You routinely show me cities that I would never have on my radar for travel. And every time you show me, I see that I have many more cities to see! Thank you so much, Stacie! That’s so sweet of you. I love sharing my love of travel to let others know about all there is to explore in our big, beautiful world! Duluth was never on my travel bucket list, but after seeing how much they have to offer families that travel, I’m for sure adding it now. I had no idea there were so many places to explore there! Minnesota is such a beautiful state with so much to explore. So glad to put Duluth on your radar! We were just talking about Duluth bc we got a Duluth Trading Post near us and we thought it had to of come from Duluth, MN. That town does look fun. How cool! I loved visiting Duluth as a child and it was so fun to re-experience this city with my own kids. Your comment got me wondering how many Great Lakes I’ve seen in-person. At first, I thought it was just Lake Superior (besides Lake Huron, where I lived near until age 4 but don’t remember). But after looking at the list of cities near Great Lakes, it looks like I’ve been to them all! Wow this place looks like so much fun! I’d love to take my kids here one day! 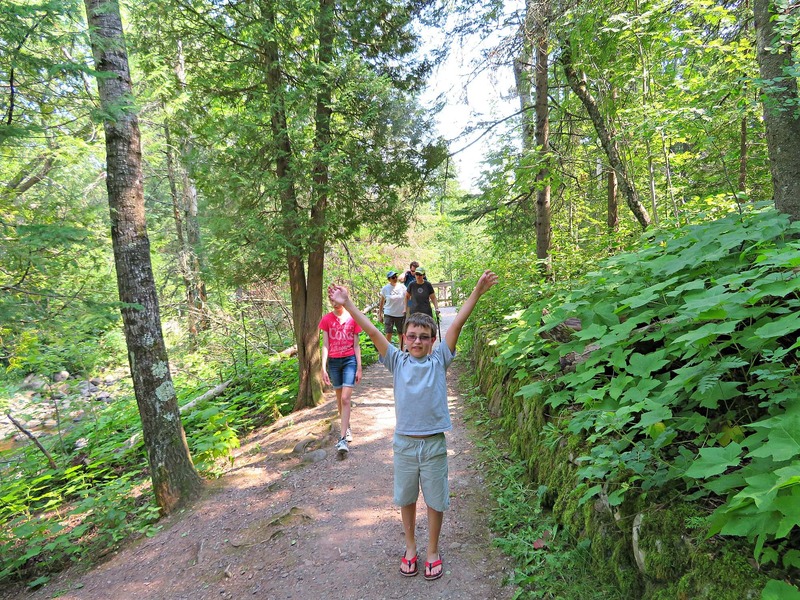 Duluth offers such a nice blend of nature and city for families to enjoy. Hope you make it there someday! I haven’t been to Lake Superior and visiting Duluth, Minnesota would be my chance to do so. I’d love to see that aerial bridge too, and take in all the beautiful hiking trails and gardens. Duluth really does offer a lot for visitors to see and do! We have a Duluth here in GA too! I didnt realize it was so much to do then! Interesting…I didn’t realize there was more than one Duluth!